Lish has performed on both flute and piccolo with the Harrisburg, Lancaster, Reading, South Florida, and Ambler Symphonies, Capital Philharmonic Orchestra, Riverside Symphonia, Philadelphia Virtuosi Chamber Orchestra, Pottstown Symphony Orchestra, Sinfonietta Nova, Rittenhouse Orchestra, Litha Symphony Orchestra, One World Symphony, Sheep Island Ensemble, Orchestra Society of Philadelphia, Masterworks Orchestra, and the Paramus Community Orchestra. Touring Orchestras include: Josh Groban: On Stage Tour, Josh Groban: Stages Tour, Il Volo: Grande Amore Tour, Il Volo: Notte Magica Tour, Jerry Garcia Symphonic Celebration with Warren Haynes Tour, Rocktopia Live, Strauss Symphony of America, and Video Games Live Orchestra. Center City Opera Theater (Vulcan Lyric), New York Opera Exchange Orchestra, Opera Libera Orchestra, Fresh Squeezed Opera Company, and the Paula Kimper Ensemble. Lish is a core company resident with the Fresh Squeezed Opera Company. Orchestral Recordings include: NASCAR documentary Petty Blue (bass flute and piccolo), the Philadelphia Virtuosi Chamber Orchestra for the cd, Music for Haiti (piccolo), and with the Capital Philharmonic Orchestra for an independent recording for Jeffrey Jacob that is not released yet (flute/piccolo). Finding Neverland (Broadway) , Les Miserables, Candide, West Side Story, Oliver!, Beauty and the Beast, Cinderella, Anything Goes, Once Upon a Mattress, Joseph and the Amazing Technicolor Dreamcoat, Oklahoma!, Ragtime, Annie Get Your Gun, Aida, Fiddler on the Roof, Music Man in Concert, Miss Saigon, Once on This Island, Kiss Me Kate, Mystery of Edwin Drood, Picture of Dorian Gray (Liebermann), Ballad of Baby Doe, La Boheme, and others. Lish won an opportunity to perform the Chimarosa Flute Concerto for Two Flutes with renowned soloist Carol Wincenc and the Pocono Flute Society Flute Choir at their annual flute festival. ​Lish performed Bulla's Rhapsody for Flute and Band with the Wilkes University Civic Band under the direction of Dr. Phil Simon and soloed with the Teaneck Community Band as part of their five week summer concert series under the direction of Evan Cooper: Rhapsody for Flute and Band (Bulla) and The Carnival of Venice for Flute and Band. She was a featured soloist with the Paramus Community Orchestra. 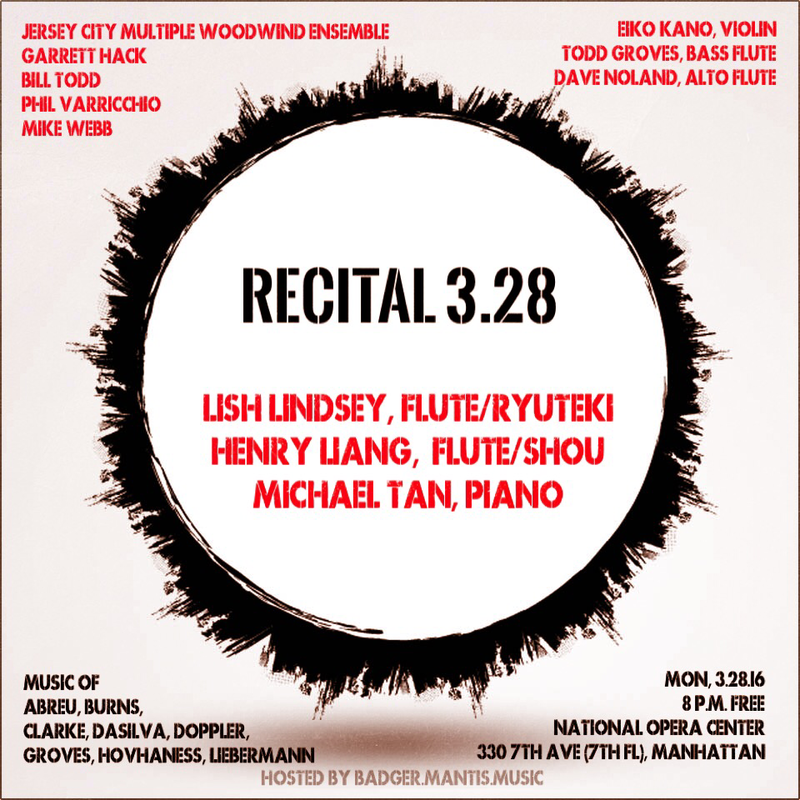 Lish and David DiGiacobbe performed an arrangement of Doppler's Andante and Rondo for Two Flutes (arr. Nancy and William Silvester) with the Eastern Wind Symphony. That recording was officially released on the CD, Wind Tableaux. Lish also performed on bass flute with the Times Square Flute Orchestra as part of the National Flute Association's annual convention and helped break the Guinness World Record for world's largest flute ensemble (at least for a short while) under the leadership of Sir James Galway. Lish began playing with the Eastern Wind Symphony in 1999 (Todd Nichols and Adam Warshafsky, conductors-Dr. William H. Silvester, music director emeritus) and is currently principal flutist (former piccoloist) with the ensemble. EWS has provided the opportunity for Lish to collaborate with guest soloists such as Alan Baer (New York Philharmonic principal tuba), Joe Alessi (New York Philharmonic principal trombone), Phil Smith (New York Philharmonic principal trumpet), Stanley Drucker (New York Philharmonic principal clarinet, retired), and Dr. Bradley Garner (Yamaha Performing Artist, flute). ​She made her Carnegie Hall debut as solo piccoloist with the ensemble and recorded Resurgence for Klavier Records which was released in June 2014. Lish is the solo piccoloist for the recording. ​She was acting principal flute at the Midwest Band and Orchestra Clinic in December 2015. She has performed and/or recorded under the direction of Alfred Reed, Ray Cramer, Clark McAllister, Dr. William H. Silvester, Andre Thomas, and other prominent wind symphony conductors. She can be heard on at least 15 CDs of symphonic band music which are often broadcast on Philadelphia (Temple 90.1), Princeton (WPRB 103.3), and NJ (WWFM 89.1) radio stations. EWS recordings have been included on the radio programs Wind and Rhythm (KWTU Classic 88.7 Tulsa) and On the Wind (WWFM 89.1) as well. Past wind ensembles also include the Philadelphia Wind Symphony, Wind Symphony of Southern NJ (Dr. Bob Streckfuss, music director), the Tri-County Symphonic Band (Dr. Ron Willoughby, music director), and Colorful Winds. 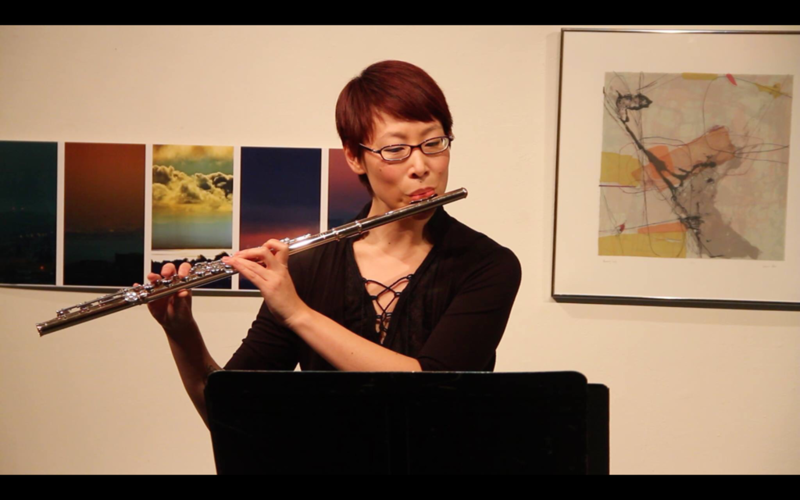 As part of the 2013 Imani Winds Chamber Music Festival, Lish and clarinetist Dawn Marie Hamilton collaborated with Eric Ewazen (on piano) to perform the NY premiere of Ewazen's Wildflowers. Originally scored for piccolo, clarinet, and piano, Lish performed on the alternate flute part, which was the world premiere of that version. Favore String Quartet, Philadelphia String Quartet, 5 for Dinner Wind Quintet, Badger.Mantis (flute/clarinet), Trillium Piano Trio (flute/cello/piano), Lynn Welshman's Mixed Wind Quintet (flute, clarinet, french horn, trombone, bass trombone), Play By Heart Ensemble, TwtrSymphony, Pocono Flute Choir, and the Virtual Flute Choir. She was awarded a fellowship position and scholarship to perform at the Imani Winds Chamber Music Festival in NYC and the Institute and Festival for Contemporary Performance. She was offered a flute/piccolo position with the Rome Festival Orchestra's summer festival via international audition and was a scholarship recipient to the International Foundation for Artistic and Musical Excellence Festival, and the C. W. Post Chamber Music Festival at Long Island University. ​Lish was chosen as an alternate for the Texas Music Festival and was a finalist/runner up in the Opera Company of Philadelphia's auxiliary flute/piccolo audition. 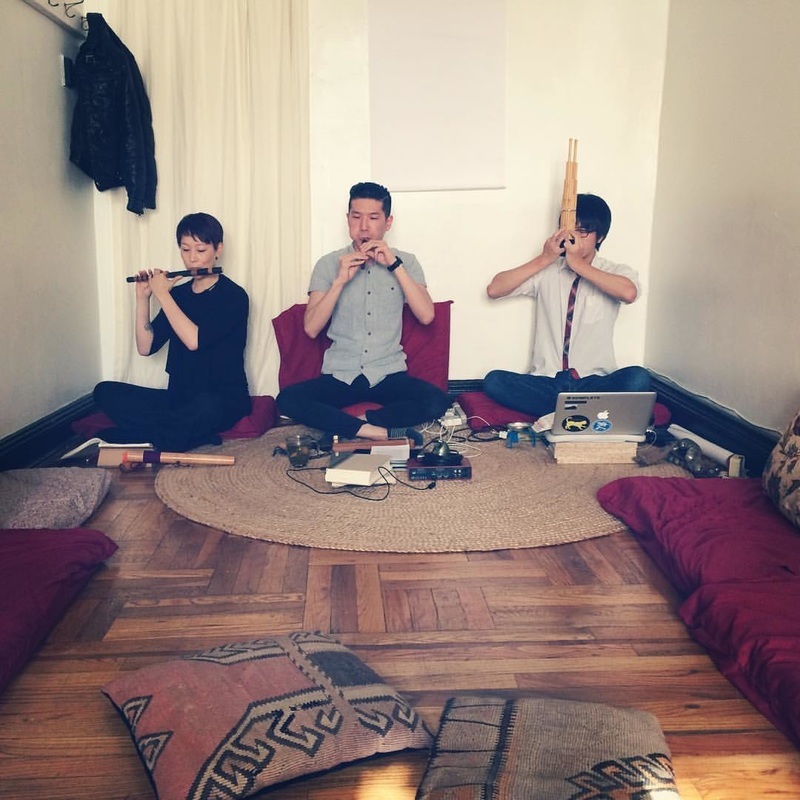 Lish is a member of the Columbia University Gagaku Ensemble of NY and rehearses with the Tenri Gagaku Society in Queens. She was awarded a grant to study Ryūteki in Tokyo, Japan with master teachers including Sasamoto Takeshi and members of Reigakusha, Ono Gagaku Kai, and Kunitachi College of Music. 2016. Photo by composer/curator: Douglas DaSilva. 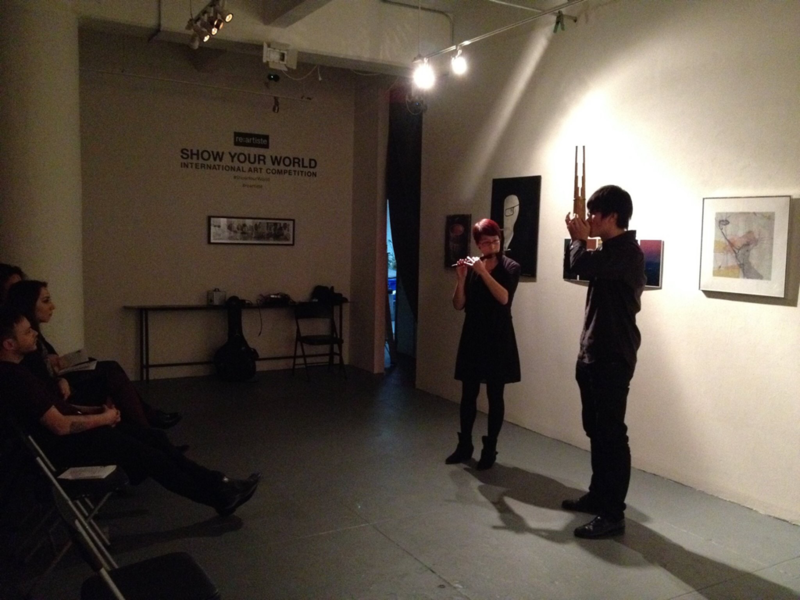 Composer's Voice Concert Series at Studio MC, NYC. Chatori Shimizu-Shō.